Take care of all the adorable ponies and make them your own! Join the pony club, care for the cute ponies there and prepare them for the annual parade. Play the role of an experienced pony trainer recently arrived in a little town. Enjoy a wide range of activities! From nurturing to customization, live fantastic adventures with your favorite ponies! HORSES HORSES! This game is so awesome it is one of the best. 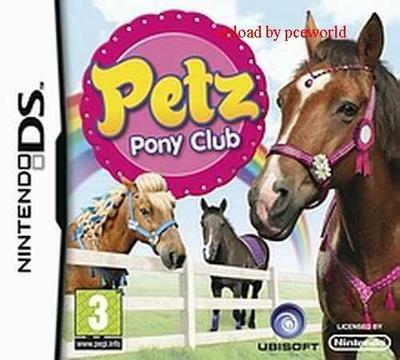 Pretty cool game if you have pony beauty pageant. Don't buy this game They are identical just different names. i thought these games were different but when i got them I FELT SOOOOOOO LAME. This Game is okay, could be better.